Blog > Why is a technology company partnered with an art competition? As long as I can remember, I have created art. Visual artifacts. And not surprisingly, my love of art eventually led me to a career in design, specifically design for technology products. But art and design are two different things. At its core, art is a depiction of what’s going on in our society and culture. It often creates a sense of surprise and wonder. The craft of an artist can vary wildly, but the stories, experiences and pieces that artists present to the world are catalysts for thought and conversation. The artist is sharing a piece of himself in a way that’s larger than themselves. Design, on the other hand, is about context. The design of an artifact, tool, or experience is about solving a problem for others. In this realm, fully grasping people’s behaviors and needs—what’s the issue, who are we solving for, etc.—is key. 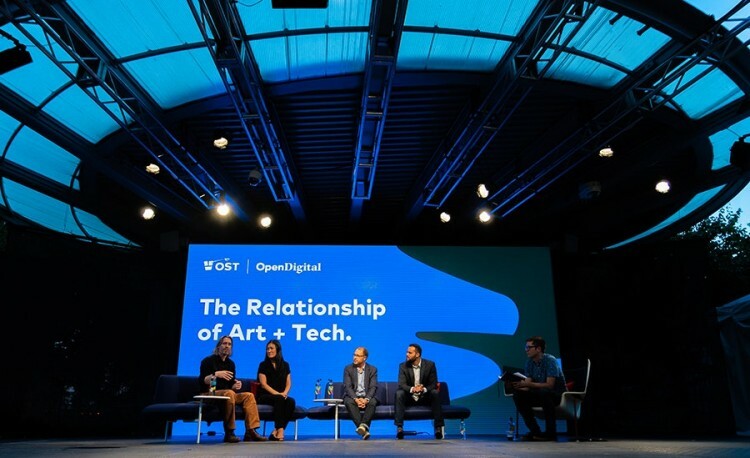 For OST, design often comes in the form of technology – an app, a database, or connected product. But technology is really just one tool – one manifestation of creativity. And creativity spans both realms of art and design. Consider Leonardo DaVinci. That guy was a puzzle. An artist, designer, engineer, scientist, musician, architect and much more. DaVinci was an innovator across a kaleidoscope of disciplines, and he actively—but seamlessly—shifted from one context to another to seek answers. He brought creativity to each context, whether it was a painting or a building. Technology would have likely been another medium he might have used had it been available to him. People around OST often say, “If technology is the answer, then what is the question?” I say this because technology for technology’s sake solves little. At the end of the day, technology is simply the way we support a good idea, create commentary, solve a problem and improve on what’s come before. So that’s why a technology company sponsors an art competition: Because technology is simply another medium of creativity to deliver on the best of what people create and supporting that type of ingenuity is what we believe.